Amla (Indian gooseberry) is packed with loads and loads and loads....of vitamin c. Some amount of vitamin c is lost while cooking since amla has loads even after cooking much of vitamin c are retained. Want to know more about its health benefits, click here. 1) Steam cook gooseberry and remove the seed inside. 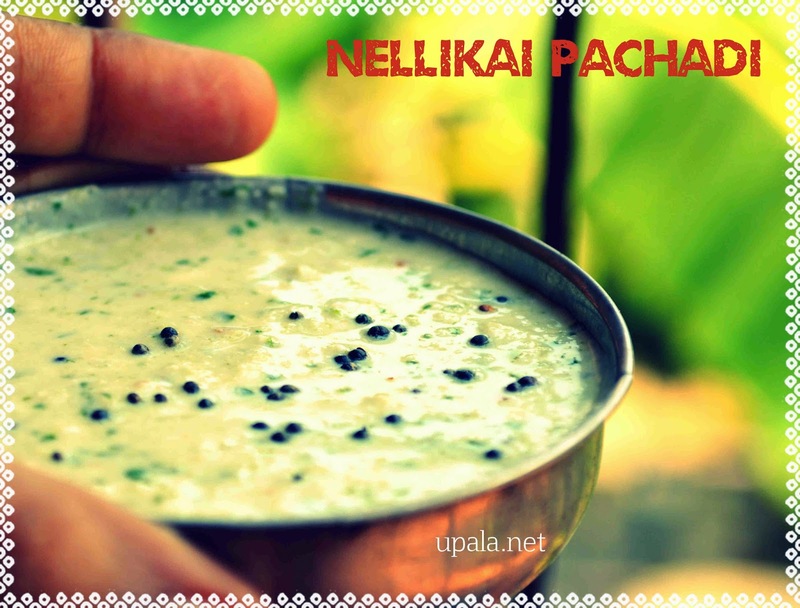 2) Grind gooseberry, coconut, green chilli, ginger and coriander leaves to smooth paste. 3) Add this paste, salt and sugar to curd. 4) Heat oil in kadai and add mustard to splutter. 5) Add mustard to Raita and mix well. 1) If you don't have time to steam cook gooseberry, you can grate the gooseberry and add directly to grind. 2) You don't need to steam cook the gooseberry separately, keep it separately in the same pressure cooker when you cook rice. 3) If you have only gooseberry, you can mash steamed gooseberry and add to curd with salt and sugar. 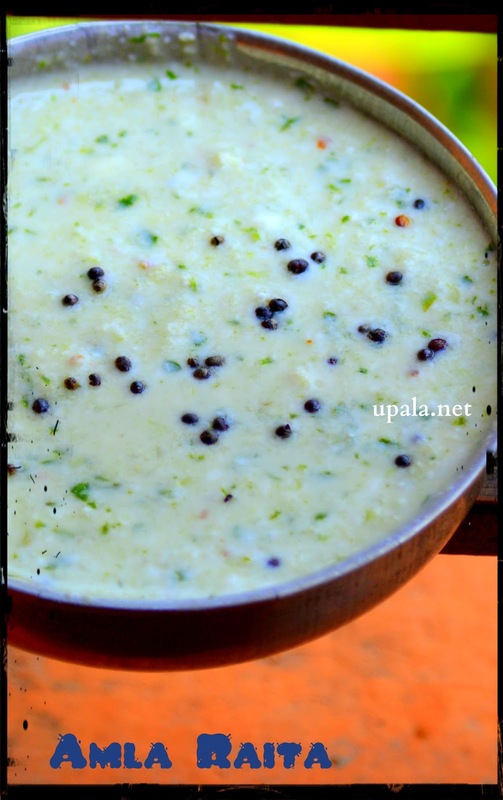 Simple and easy raita is ready.